I don’t usually worry too much about logos that appear on retail merch. But we’re going to talk about precisely such a logo today. • I’ve never seen the NFL logo lettering accompanied by laurel branches before. • The logo appears to include Latin phrase: civitas calcifolis societas (which I’ve so far been unable to translate properly, because I can’t find the proper translation for “calcifolis” — anyone..?). Again, I’ve never seen the NFL use Latin in any of its branding. • The two players shown in the logo are going color vs. color! As you can see, the tagging on that sweater is from a brand called Nutmeg. I’d never heard of them, but I went to eBay and searched on “nfl member club nutmeg” — bingo. Was this logo only for use at retail? Like, did any stadium personnel ever wear it? Did it ever show up on team letterhead? Anything else? As for Nutmeg Mills, they were apparently a big deal in the 1980s and ’90s, although I totally missed the boat on that. There’s a really good retrospective available here — worth reading. Pro Bowl jerseys apparently revealed: Although there’s been no official announcement, jerseys purporting to be for this year’s Pro Bowl are showing up at retail. The weird thing is that they show the old jersey template (note the shoulder seams) and don’t have the Pro Bowl patch that we’ve seen in recent years. Hmmmm. Beefsteak update: The Brooklyn Beefsteak guys have been on hiatus for the past two years or so. Fortunately, there are several other folks who are picking up the slack, including the good people at the Museum of Food and Drink in Brooklyn. They’re throwing a beefsteak on Thursday, Feb. 1, and I’ll be there as a guest speaker (and eater/drinker). They’re going pretty old-school with this one: No utensils, no napkins, and no chairs (everyone will be standing at high-top tablers) — just aprons, bare hands, and unlimited meat and beer. Tickets are $50 and are available here. Baseball/Softball News: The Rangers’ new stadium, slated to open in 2020, could include artificial turf. It’d be the first new stadium to feature fake grass since Tropicana Field opened in 1990 (from Brinke). 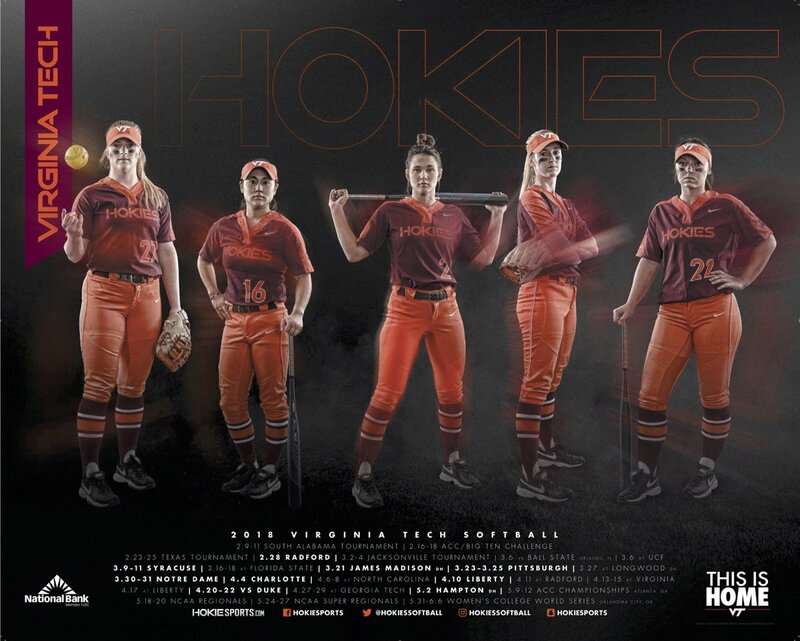 … New softball unis for Virginia Tech (from Andrew Cosentino). Football News: Eagles RB LeGarrett Blount posted a photo of himself on Twitter, but strangely, all elements of the Eagles uniform had been airbushed out. Perhaps it was some sort of ad agreement? (From Blake Fox.) 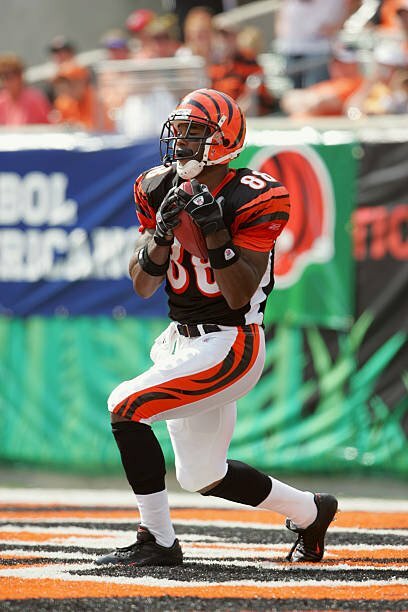 … Shane McCartny found this 2005 photo of former Bengals WR Tab Perry, who was wearing Cincinnati’s 1997-2003 pants with the team’s current-era jerseys. … This blog breaks down the uniform history of the Saints and Vikings, who’ll face off in the playoffs this weekend (from @mnsportsidiot). 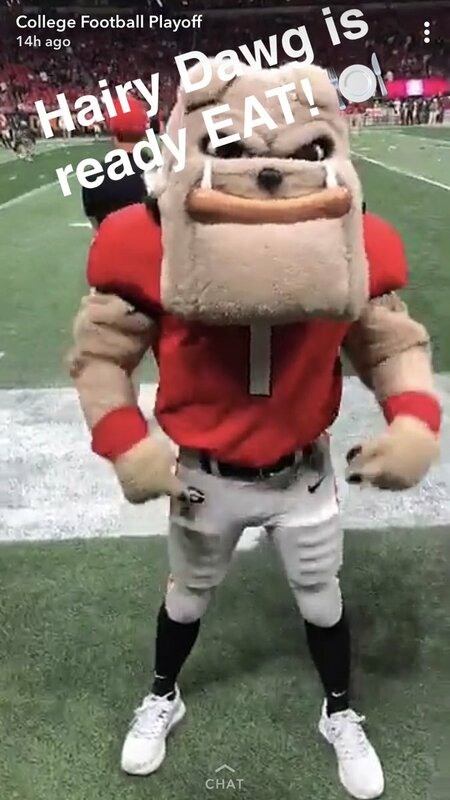 … Hairy Dawg, Georgia’s costumed mascot, apparently switched shoes from white to red during halftime of Monday night’s National Championship game (from @willchitty4). Hockey News: It’s hard to tell in black-and-white, but this clip from the 1930s appears to feature the Canadiens and Rangers in a color-on-color matchup (from @EdSandheinrich). … Goalie mask artist Jason Livery posted this graphic showing the design guidelines for the Team USA hockey crest (from Ed Bauza). 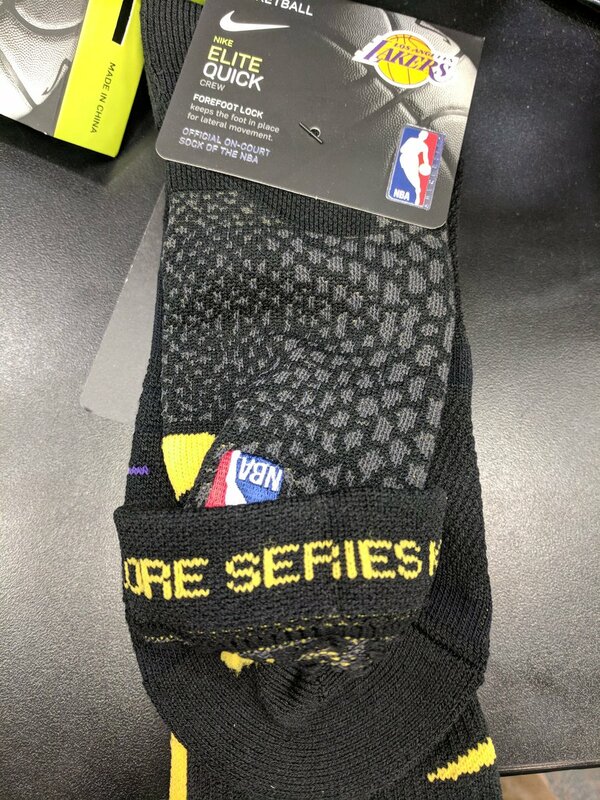 NBA News: The Lakers’ “Black Mamba”-themed alternate uniforms apparently have matching socks, which include the words “Lore Series” on the inside of the sock (from Alex Shedden). 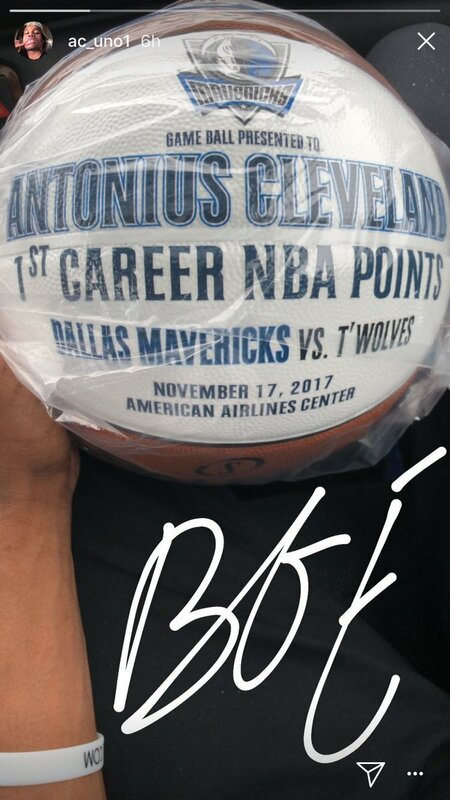 … The Mavs gave rookie Antonius Cleveland a commemorative basketball after he scored his first career point earlier this season (from Nick Angstadt). … BC Prienai, the team that LiAngelo and LaMelo Ball are playing for in Lithuania, is using a Big Baller Brand crest as its mid-court logo (from Blake Fox). … Speaking of BC Prienai, looks like the Ball brothers are going FiNOB (from Tony Madalone). 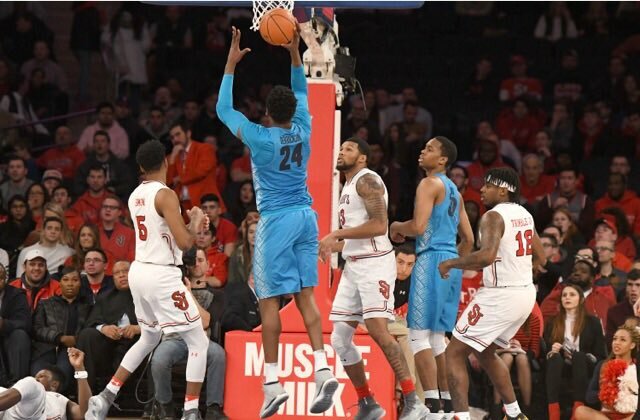 College Hoops News: It’s rare to see Georgetown in anything but grey or navy, but the Hoyas wore light blue last night on the road against St. John’s (from @bryanwdc). 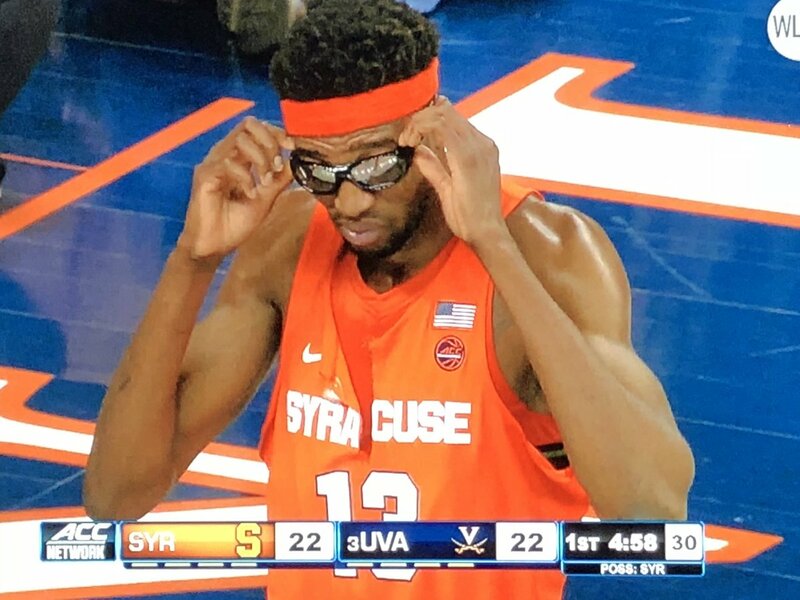 … Not just an NBA problem: Syracuse C Paschal Chukwu suffered a pretty significant jersey tear last night. Nice rec specs, too. Soccer News: All of these are from Josh Hinton: The Rochester Rhinos of the USL announced plans to go on a one-year hiatus. … Indy Eleven is leaving the third-tier NASL and joining the second-tier USL. … The NASL announced a change to their calendar. They’ll now play games from August to May instead of having separate spring and fall seasons. … Atlanta United’s new USL affiliate, ATL UTD 2, revealed its colors and badge. Grab Bag: This is what Team USA will wear on the medal stand in next month’s Winter Olympics (from Robert Hayes). … Penn State will have new men’s volleyball uniforms in 2018 (from Darian Somers). … This gallery breaks down how NASCAR drivers performed by their car’s paint scheme (from David Firestone). … NASCAR driver Chase Elliott is switching his car number from 24 to 9 this season — and not all of his equipment has made the change yet (from @midnightvalley1). … Nevada is ahead of the curve, and has developed a special license plate for autonomous vehicles (from Joshua Tretakoff). … Lewis Oliva, a Welsh cyclist, had his gym bag and cycling shoes stolen yesterday. 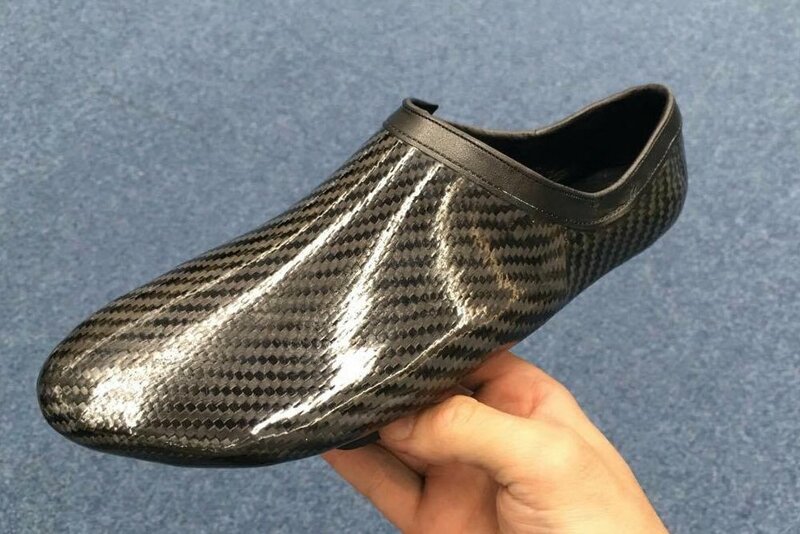 Now, his teammates are asking eBay shoppers to keep an eye out for his stolen shoes (from Brett Baker). 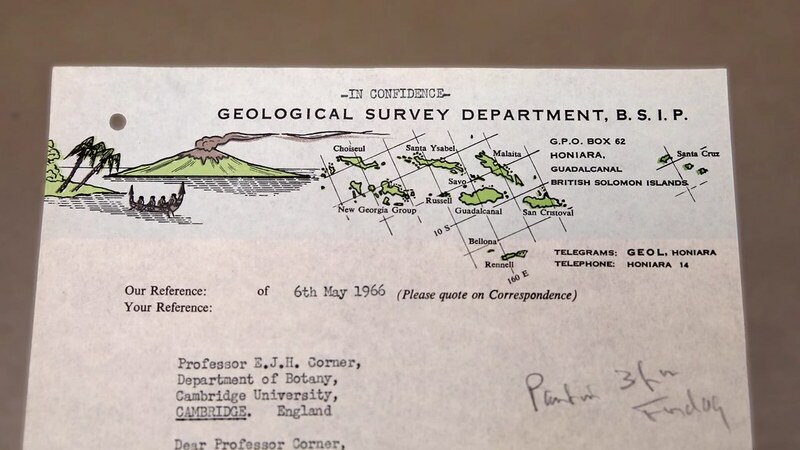 … Craig Ward was watching a YouTube video about the exploration of the Solomon Islands and spotted this awesome letterhead used by the local Geological Survey Department. … The new year has brought some new pro tennis endorsement deals (from Brinke). What Paul did last night: My big brother Roy, who’s 15 years older than I am, was born on Christmas Day. In order to avoid all the holiday overlap, I usually take him out for his birthday sometime in early January, either to a restaurant or to see music. This year he said he wanted to see the great saxophonist Lee Konitz, who was playing at Dizzy’s last night. Roy was a great big brother when I was growing up and taught me a lot about music, politics, baseball, music, movie, music, New York, music, etc. But he’s a difficult, complicated guy (I’m sure he would say the same about me) and we often don’t bring out the best in each other. Fortunately, he was in a great mood last night and said it was one of his best birthdays ever. Sigh. Instead of speculating (incorrectly), why not read the link about Nutmeg that’s provided right there in today’s entry? Apologies I completely missed the link, I therefore stand corrected. At first glance it reminded me of another brand which existed in the UK that made early NFL, MLB and later WLAF licenced products to the UK market, which after double checking was called “Charterhouse Textiles” I put 2&2 together and got 5! Clearly the NFL can use Blount’s likeness but he can’t use theirs. I’ve been in situations (TV show tapings and such) where we were told (paraphrasing) “the presenters may use your likeness, but you cannot use ours”. I don’t see why Blount even bothered with a uniform photo at all! What’s odd is that if you go to his site (which is basically just his store for personal logoed gear), there’s a big ol’ pic of him in his Eagles uniform at the top, that’s not altered at all. Must be the event that is using him in their promotion (or maybe the event is HIS but not sanctioned by the NFL) that makes them remove all NFL-ness. The color-on-color game between the Rangers and the Canadiens is not too surprising, considering that the Habs didn’t have a white jersey until the 1935-36 season, and the Rangers didn’t have one until the 1951-52 season. And red vs. blue in a game that nobody outside the arena would see wouldn’t have been a big deal. I wouldn’t read anything into the pro bowl jerseys being sold in the old template. They will still be rendered in the vapor template. All teams jerseys and the pro bowl jerseys have screen printed versions that are the cheapest option for fans and they are all still using the elite template sans flywire (called “game” jerseys by Nike and sell for $100). It appears that is what the picture of the jerseys showcases. Only the limited and elite jerseys are rendered in the vapor template. Presumably, winter games will not be a problem for the NASL, whose remaining teams, except the New York Cosmos, are all based in Florida, California and Puerto Rico (Indy Eleven logo is still on the website as of this morning). I am amused by the backstory for the ATL UTD 2 badge, but wonder why “ATL UTD” could not be placed at the top of the circle instead of the bottom; it would read better that way. Mangler, I believe that Indy Eleven will announce the change today (afternoon I assume). As for NASL, I agree that winter games should work but there is a legitimate chance that if they are not granted Division two status, which is likely because they fail to meet the requirements of a division/tier two league in the US Soccer pyramid, the league will fold and that season may not even be played. Apparently, VF moved Majestic into the building after its acquisition. But since VF sold its sports-licensing arm to Fanatics last year, the building now sports the Fanatics logo, as can be seen in Google Street View (current views dated July 2017). Interestingly, the view on the approach from Mullis City Way shown on that site you posted has since been obscured by trees in both the median and on the corners. You know what, the “calcifolis” may be either a made-up word or some bizarre Latinization of the Italian “calcio,” which refers to soccer. Proofreading: The Welsh cyclist’s name is Lewis Oliva, not Olivia. OK, I’m off to Manhattan. Back in a few hours. My guess is that someone who didn’t know Latin attempted to come up with a word for football – which obviously didn’t exist when Latin was spoken – and just looked in a dictionary and connected two words to make some cod-Latin. Like the early days of internet translation, with the Babel Fish site. It definitely doesn’t mean anything in actual Latin! This seems to me to be the best explanation. I immediately though of the Italian “calcio,” too. Sounds like fake Latin, attempting to appear lofty or distinguished to go along with the whole laurel/crest. Or, if Nutmeg is a British company, they may not have had a firm grasp on American football? Thus both players with a ball, and same color uniforms on some of the logos. Why are people saying Nutmeg is a British company? If you read the piece linked by Paul you’ll learn the entire story and that the founders are from Connecticut. Which is weird because in heraldry, the Latin phrase is usually the motto or statement about the organization depicted not the name of the organization repeated. For example Chicago’s seal has its name along the edge with its motto “Urbs in Horto” (City in a Garden) in the crest. Calcifolis is a compound word from two Latin words. Calcare means ‘to kick, trample upon, or step upon’ This verb form derived from the Latin ‘calx’, meaning ‘heel’. In English, the word ‘recalcitrant’ derives from the same words; ‘kicking back’ or ‘showing opposition’. “Civitas in Latin (‘politea’ in Greek) refers to a body of citizens. In Ancient Rome this meant that you and your fellow citizens all shared the same rights and duties to the Roman state. So the Cives Roman were the Roman Citizens. In the case of the jerseys, we’re referring to the CITY for which the team plays. There’s an implication that every player on the team has a special and unique bond to the CITY, not necessarily the team. wow. ask the internet, the internet actually answers! thank you, Kyle’s wife. Did the Romans ever use the word civitas to mean a large nation of many cities, or is it mainly for a single city-state like Rome or Constantinople? The former would be what Nutmeg would have used if they were aiming for a translation of “National Football League”, and the latter would make the phrase a more natural translation of “…city football team”. Either one makes sense, though the endings on the words are wrong, aren’t they? I learned all my sports-related Latin from the very humorous Lingua Latina Occasionibus Omnibus, so I’m sure if I had the chance to time-travel back to ancient Rome, the actual Romans would laugh at me. So, would this qualify as some form of Dog Latin, then? The most widely-used and popular Web lexicon for contemporary Latin is “Latinitas Recens,” composed by one Florus. It’s been offline since 2009, but a couple of mirror sites still exist. LR gives “pedifollis” as the word for soccer (a 3rd-declension noun, its genitive is also “pedifollis”). The patchmaker’s portmanteau probably drew on “calcio”–the Italian word for soccer–and mistakenly left out the second L.
The Vatican’s “Lexicon Recentis Latinitatis” almost certainly gives a modern Latin equivalent for “football,” but isn’t available online. Wonder if anyone out there has access to a copy? Latin teacher here, who speaks Latin with students daily, including about topics like football. Super exciting to see this patch pop up! As the previous poster pointed out, modern Latin words are often non-universal. The many various communities around the world, influenced differently by their native languages and differing scholarly sources, very often have differing terms for modern things. ‘Latinitas Recens’ is just one of the resources I use to try to make sense of it all. I wish that someone would gift me a copy of the Vatican’s Lexicon!! In my classroom, we use ‘pediludium’ for football and specify for American football using the adjective ‘Americanum’. As long as we can all agree: Lex clavatoris designati rescindenda est. Is Prienu Vytautas using the BBB logo in the middle solely for the Big Baller Brand Challenge games or also for the Lithuanian league games as well? As I started to read the members club article I kept on thinking the logo looked familiar. Then I saw the Raiders sweater and it hit me, for years my dad had the Eagles version of the same sweater. Knowing how he doesn’t get rid of anything next time I go see him I’m going to have to see if he still has it. 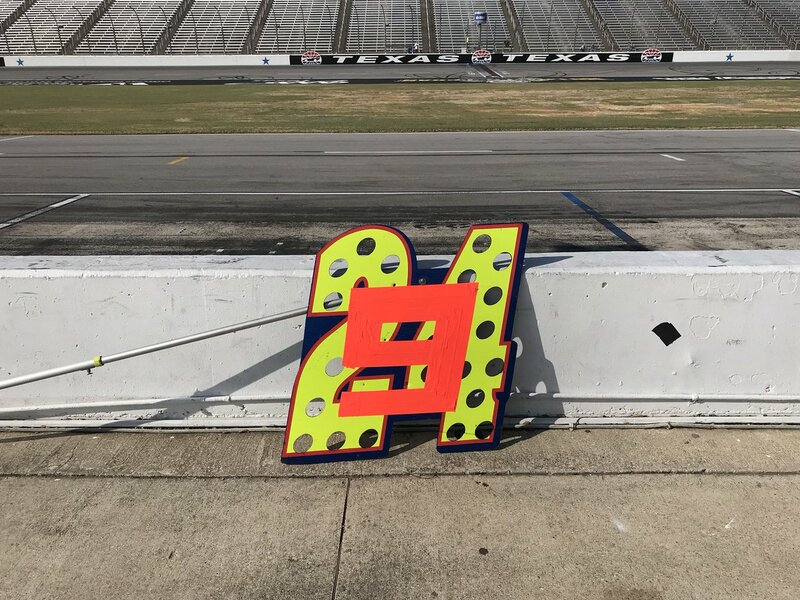 Seems Chase Elliott’s team would’ve just used an altered version of the #5 team’s pit sign since that team changed to #24. I would think it would be easier to temporarily alter #5 to #9 than to temporarily alter #24 to #9. It’d be especially silly if Byron’s team has slapped a #24 over the #5 on their sign. Maybe they got their new sign already, though, and Elliott’s team just hasn’t gotten their new one yet? Guess new coach Patrick Ewing wanted a reminder of his early days as a student athlete. Thank you for finding a good picture of what I had been wondering. Would’ve been nice if the new ones had some white outlining on the numbers and letters. The plain black-on-blue is not very pleasing to look at. It bothers me that both players on the NFL Member Club logo are carrying the ball. Also, that the bottom few versions show MATCHING color-on-color, and on of them is GFGS. Great little bit from the Nutmeg story. It is fun to think of a time when apparel manufacturers all watched championship games together because as soon as they ended everyone was working overtime to get the gear made. Wilson still does this at the factory where they make the Super Bowl footballs. As soon as the last conference championship game is over, they get to work. I was there to witness this myself a few years back. I certainly remember that article! In soccer news: the NASL is not third-tier. USSF has removed their sanctioning for second division, which is now going through the court systems because NASL is trying to block the move. To be third division, NASL would have to apply. IF the removal of division two sanctioning occurs, they don’t automatically drop to division three. NASL has not applied and basically stated they will not be applying for division three sanctioning. Okay, technically they may not yet be third tier, but they are essentially there. The NASL fails to meet several tier two requirements, such as the number of teams and the three time zone rule, and their champion folded in their only year of existence . The NASL only has the New York Cosmos, Miami FC, Puerto Rico, Jacksonville Armada, California Utd, and San Diego. The league, assuming that they don’t receive tier-two status from the USSF, will either fold or stay as a tier-three league, but they cannot be considered Division 2 because the USSF revoked that status. So…….Division 2.5? Because I cannot see a way that they retain Division two status. No, I ironed it out completely. In order to be ANY division, they have to apply. So, if they are revoked of D2, they are not in ANY division. NASL has not applied for D3, so they cannot “essentially” be there. No league can just place themselves in a division. They have to apply, meet requirements (get waivers), and get accepted by USSF. 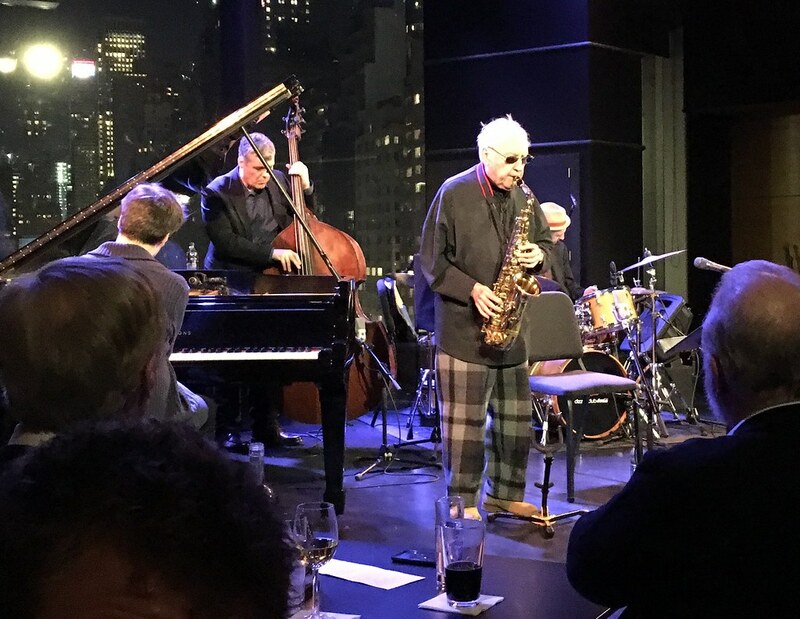 Never expected to see Lee Konitz featured in a UniWatch story, but great to see him still performing. I have an extensive NFL vector library; looking to see if I’ve got that Member Club mark (or some variation of it)…will check back in if I find one. 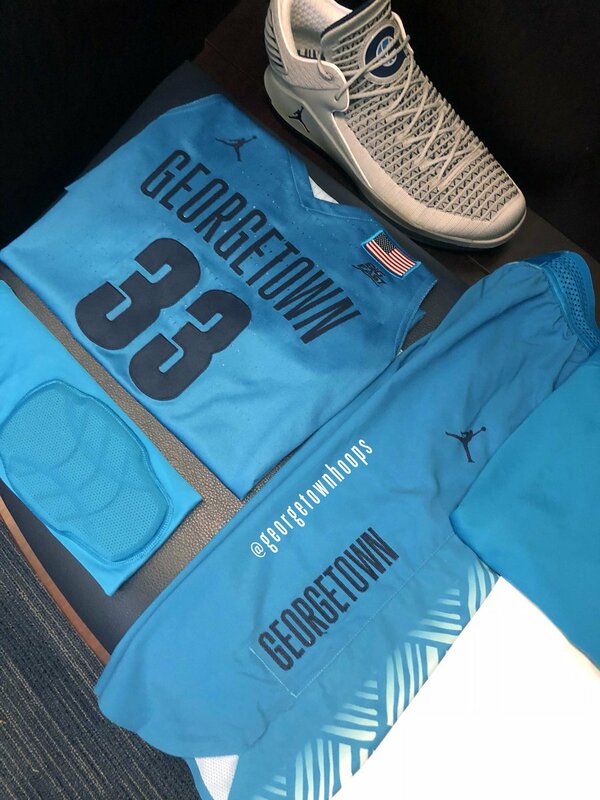 On the light blue Georgetown unis, did they actually print the program Twitter handle, or is that just an overlay in that picture? I looked for some wire photos from the game to check but couldn’t find any. That Beefsteak employee dinner photo was extraordinary. Just a joy to see. -C.
I’ve been to a few Beefsteaks run by some guys from North Jersey where they are still popular fund raising dinners. Terrific events with lots of camaraderie! I say from now on, calcifolis means color vs. color. 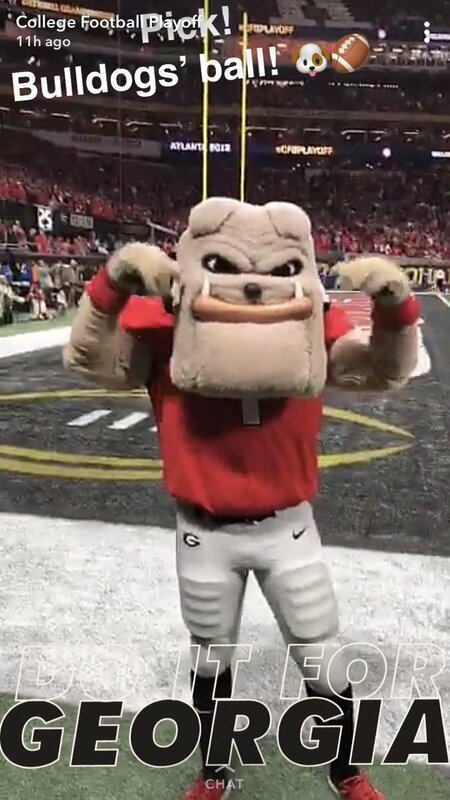 Hairy Dawg for UGA probably had different color shoes because it was a different person in the second half. I have a friend that was Hairy in college and they would swap at halftime, primarily due to the humid heat in GA.